I love the business and how it has evolved my life. If he wasn’t making wine, Cary would like to be an architect. Since 1992 at Sterling Vineyards. 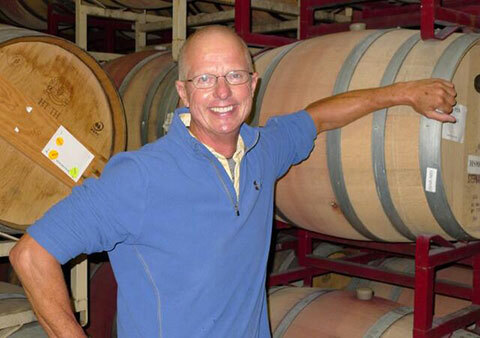 Then since 1998 I have started wineries and make wine for many clients as a consultant and winemaker. My business is Vineyard & Winery Estates in St. Helena. I’m fourth generation in the California wine and vineyard business. My father ran Inglenook. The “a-ha” moment is continuing, as I love the business and how it has evolved my life with the growth of Napa Valley. Kristi Koford and Mike Chelini. Getting to work with people who want to join the wine business and vineyard business and being able to guide them toward success. Hard work and attention to detail. Also vast experience can tell you what to do. A small valley that grows excellent grapes and different appellations that grow different styles of grapes due to weather, soil and location. We are sustainable and solar. A new, beautiful Howard Backen winery with a great family that is in their first decade of being in the wine business here in Napa Valley. Andre Tchelistcheff, Darrell Corti and President Obama. Do your homework on what it takes to get into the business from an experienced person already in the Napa Valley wine business. Work a harvest as a cellar employee in a small winery. Ride around with a vineyard management person for several days. Work in a tasting room. I use a stand-up desk.